The South Korean Marine Corps have introduced a new elite unit capable of carrying out special operations inside North Korea. The special forces unit, known as “Spartan 3000” because it consists of 3,000 marines, will be on constant standby, ready to be deployed in any part of the Korean Peninsula within 24 hours in case of a North Korean attack, a Seoul military official told South Korean Yonhap News Agency. “In the past, the battalion-level unit took 24 hours to be deployed across the Korean Peninsula, while the regimental-level unit took 48 hours. However, the new unit will be able to operate within 24 hours even at the regimental level,” the official said, speaking on condition of anonymity. The “Spartan 3000” unit’s primary task of is to destroy “key military facilities in the North’s rear during contingencies,” while in peacetime it is to be used as a rapid response force to deal with natural disasters and emergencies. 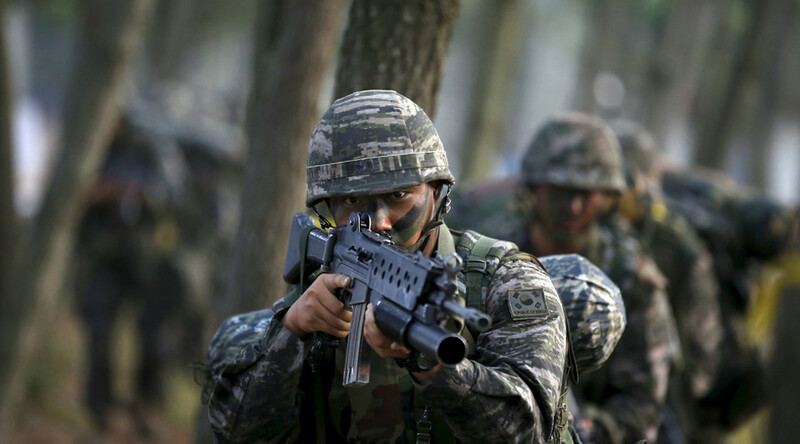 The unit was launched in the southeastern city of Pohang on March 1, and tested during the largest-ever US-South Korea annual drills, which just ended on Friday. North Korea called the drills a provocation and responded with similar exercises aimed at taking down South Korean military installations. 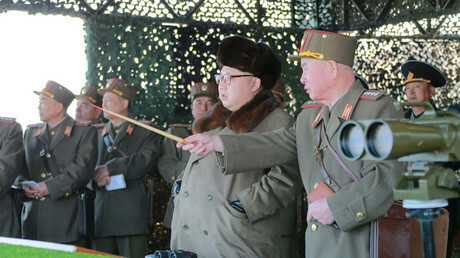 “Any enemy group will never land in seashore of the country as our reliable artillerymen stand guard in full readiness to wipe out the aggressors,” Kim said, adding that the North Korean army’s training should be “intensified,” KCNA Watch reported. In February, Pyongyang launched a long-range rocket that was believed to be a disguised ballistic missile test. North Korea launched five short-range projectiles into the sea east off its coast on Monday, the South Korean Joint Chiefs of Staff reported, according to Yonhap. Two short-range missiles were fired into the East Sea earlier in March, presumably with the use of a new high-caliber multiple rocket launcher. The test was followed by the launch of two medium-range ballistic missiles, also into the sea. The UN Security Council imposed new sanctions on North Korea in response to its military activity.